What: Fresh off a win, Spokane looks to make a run at a playoff spot by knocking off the rival Rattlers. Note: The winner of this game will hold the tiebreaker between both teams for playoff positioning. The Rattlers are 9-4 overall, 5-1 on the road and 6-1 in conference play. Arizona is coming off a 43-33 home win against the Nebraska Danger on May 28. They are averaging 49.7 points per game (2nd in IFL) and are allowing 40.4 points per game (3rd). The Rattlers are first in the Intense Conference. The Empire are 8-5 overall, 5-2 at home and 7-3 in conference play. Spokane is coming off a 48-43 home win against the Colorado Crush on May 26. They are averaging 43.7 points per game (5th) and are allowing 41.6 points per game (5th). The Empire are second in the Intense Conference. 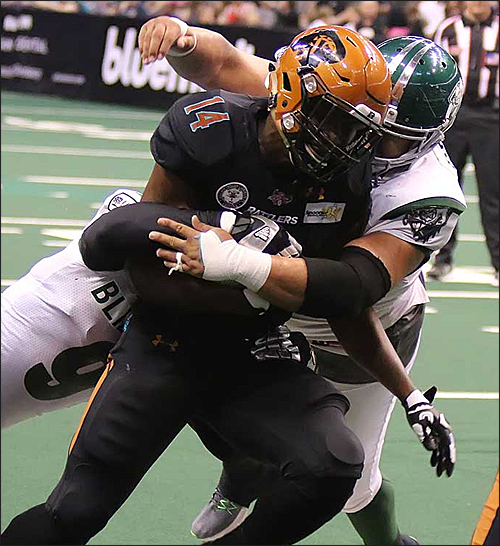 The Arizona Rattlers are on a roll after a 4-4 start to the regular season; since then, they’ve five straight games, holding opponents to 35 points or less. One of those victories came against their longtime rivals, the Spokane Empire, and leapfrogged into first place in the Intense Conference as a result. Now, in the rubber match of the season series, the Rattlers look to make it six straight and all but lock up first place and home field in the Intense Conference Championship. The previous two meetings between the Rattlers and the Empire were vastly different. The first meeting was a shootout, with Spokane coming away with a 60-51 victory for the organization’s first in in Phoenix since 2010. The second meeting was lower scoring affair, with Arizona emerging as the victor with a 49-35 win, capitalizing stopping the Empire on 3rd down and sacking QB Charles Dowdell six times. QB Cody Sokol continues to grow in the indoor game since taking over for ex-Portland Thunder QB Darron Thomas. Through 9 games this season, Sokol has thrown for 1,255 yards, 30 touchdown passes and only 5 interceptions. He’s seen success passing against the Empire’s defensive backfield, throwing for a career high 252 yards and 6 touchdowns in the first meeting. In the second meeting, he only passed for 74 yards, but he completed 80% of his passes (12 of 15) and 3 touchdowns. The success of the Rattlers’ running game, ranked second in the IFL in total rushing yards (1,407) and yards per rush (4.6), has made the transition smooth for Sokol. Since his no touchdown, 2 interception performance against the Cedar Rapids Titans on May 5, he’s been extremely careful with the football, throwing for a combined 10 touchdowns and zero interceptions. The Rattlers’ offensive line deserves a lot of the credit for his success, as Sokol has not been sacked in 4 of the last 5 games. The very same offensive line that has protected Sokol has done an outstanding job clearing the way for Arizona’s ground game. The Rattlers’ ground attack has been led this season by Darrell Monroe, who leads the IFL in rushing yards (634), rush yards per game (63.4) and yards per rush (5.8). His 15 rushing touchdowns rank third in the IFL, but it’s the highest among non-QBs. Monroe has seen mixed success against the Empire this season – in the first game, he rushed only 5 times for -4 total yards, while in the second, he rushed 15 times for 87 yards and 3 touchdowns. The Rattlers’ was upgraded last week with the return RB Ketrich Harmon (60 rushes, 249 yards, 5 TDs) from the Short-Term IR. Harmon got the start for Monroe last week against Nebraska, rushing for 36 yards and a touchdown on 13 carries. If both running backs are active this week, it could be a brutal 2-headed rushing attack against an Empire rushing defense that had no answers three weeks ago. The success of the running game has made the passing game successful, and Arizona’s passing attack looks to gash-and-dash Spokane’s youthful secondary. 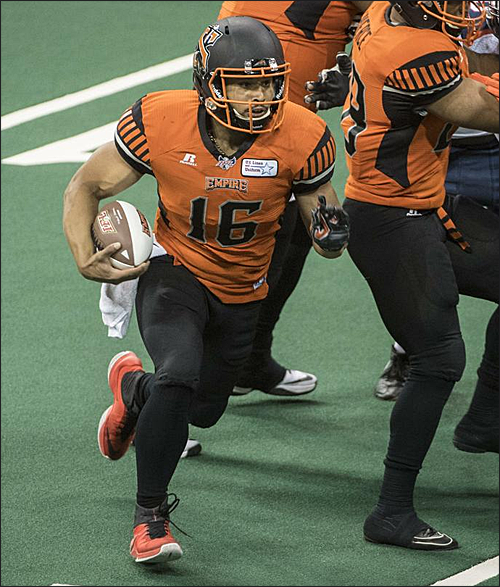 Leading receiver Anthony Amos (45 receptions, 565 yards, 17 TDs) looks to have yet another big game against Spokane, the organization that gave him his start in arena/indoor football in 2015. He’s been tough for Spokane to contain; in the two games against his former club, Amos has recorded 8 catches for 127 yards and 4 touchdowns. His presence could provide ample opportunities for Jamal Miles (37 receptions, 360 yards, 8 TDs) and late newcomers Antonio Vaughn (8 receptions, 108 yards, 2 TDs) and recently re-activated Jared Dangerfield. Ex-Empire WR Diondre Borel (5 receptions, 45 yards, 2 TDs) has not seen much action this season, and could be a surprise start against his former team. Defense could be a toss-up for the Rattlers, who statistically rank 6th against the run (70.6 ypg) and the pass (149.1 ypg). Turnovers haven’t been common for the Rattlers, who only have recorded 9 interceptions (eighth in the IFL) and 3 fumble recoveries (10th). However, the Rattlers have had success getting to opposing quarterbacks, ranking third in the IFL with 22 sacks. The Rattlers defensive unit been outstanding during the team’s 5-game winning stream, giving up 35 points or less during that span. Empire QB Aaron Wilmer will provide a challenge for the Rattler’s defensive line. Unlike Dowdell, who hesitated to pull the ball on read-option plays or hang back in the pocket too long, Wilmer has a bigger physical size and isn’t afraid to run the football. His execution of the read-option last week against Colorado was a tremendous success, and could come into play Saturday night. LB Justin Shirk (48 total tackles, 5.5 sacks, 7.5 tackles for loss) and DLs Joshua Gordon (44 total tackles, 5 sacks, 11.5 tackles for loss), Chris McAllister (26 total tackles, 8.0 sacks, 13 tackles for loss), and Edward Mosley (26 total tackles, 2.0 sacks, 9 tackles for loss) will have to put pressure on Wilmer and shut down the running attack of Andrew Pierce and Trevor Kennedy if they want to win in similar fashion to the last game. Meanwile, DBs Adam Sauder (87 total tackles, 7 pass breakups) Arkeith Brown (75 total tackles, 4 INTs, 12 pass breakups), Allen Chapman (52 total tackles, 4 interceptions, 7 pass breakups) and Nathan Lindsey (39 total tackles, 3 pass breakups) will try and contain an Empire receiving corps that awoken in recent weeks. The Rattlers have momentum and a scorching hot offense on their side, but with new weapons for the Spokane Empire on offense, it could be a tough test for a Rattlers’ defense that sees its last playoff caliber opponent for the remainder of the regular season. If the Rattlers can disrupt Wilmer and have another big defensive performance, the Rattlers would be able to control their own destiny going into the playoffs. Suffering from the first three game losing streak under their re-branded identity, the Empire came out looking like a vastly different team in last Friday’s 48-43 victory over the Colorado Crush. After scoring 36 points or less in 6 of their last 7 games, the Empire made a drastic change at quarterback, releasing veteran Charles Dowdell in favor of rookie Aaron Wilmer. The switch appears to have worked, as Wilmer’s presence stimulated the offensive potential for the Empire. In the first half against the Crush, Spokane’s offense scored 35 first half points, nearly equaling the highest amount of points they had in an entire game against the Arizona Rattlers two weeks ago. Now, with the very same Rattlers team coming to town Saturday night, Spokane looks to avenge its loss and reclaim first place in the Intense Conference. Quarterback Aaron Wilmer looked impressive in his first start last Friday, completing 17 of 23 passes for 119 yards, 3 TDs and no interceptions. He passed with more confidence than former QB Charles Dowdell, and it showed as he only turned the ball over one time on a muffed handoff. He also showed better execution on the read-option, and at times fooled the Crush defense. He also led the team in rushing, with 18 carries for 61 yards and 2 touchdowns. With the addition of ex-Shock offensive lineman Deveric Gallington to the line, Wilmer had excellent pass protection to help guide the Empire offense. This week, Wilmer will face an Arizona defense that hasn’t created many turnovers, but has gotten to the quarterback 22 times this season. If the Empire’s upgraded offensive line can provide Wilmer enough time, his dual-threat ability could be a serious threat to the Rattlers. The successful execution of the read-option could be a tremendous task for the Rattlers to defend, as the Empire have two proven running backs in Trevor Kennedy (64 rushes, 289 yards, 8 TDs) and Andrew Pierce (8 rushes 33 yards). In addition to their rushing abilities, Kennedy (24 receptions, 208 yards, 4 TDs) and Pierce (6 receptions, 38 yards, 2 TDs) possess talent as receiving threats, and could be a one-two punch. If you factor in Wilmer’s rushing ability, and his larger, physical frame, then the Empire could be poised for a big ground game that can help set up the passing game. Leading WR Bryan Pray (53 receptions, 590 yards, 15 TDs) will look to continue his excellent play as of late. After a modest start to the season, Pray has caught fire, recording touchdown receptions in six of his last eight games. Even with the change at QB, Pray established quick chemistry with Aaron Wilmer, leading the Empire’s wide receiver corps with 5 receptions for 58 yards and a TD. Pray’s been successful in the previous two meetings against the Rattlers, recording 16 total receptions for 122 yards and 4 touchdowns. He’ll look to continue that momentum Saturday night, and provide opportunities for Devonn Brown (37 receptions, 398 yards, 9 TDs) and Samuel Charles (30 receptions, 407 yards, 10 TDs), both of whom cooled off in last week’s game against Colorado. The Empire’s defense will look to avenge its performance it had the last time against the Rattlers, in which Spokane was missing LB Nick Haag (NFL Tryout) and Pasquale Vacchio (strained pectoral). The loss of Haag and Vacchio opened the door for Arizona to find success running the football with RB Darrell Monroe. With Haag (60 total tackles, 5.0 sacks, 7.5 tackles for loss) and Vacchio (65 total tackles, 4 tackles for loss, 3 INT, 8 pass breakups) back in the lineup, Andrew Jackson will return to the defensive line, in which he’s been a tremendous force for the Empire this season. Jackson leads all Empire defenders with 80 total tackles (49 solo), and has 4.0 sacks, 10.5 tackles for loss, 1 INT and 5 pass breakups. In addition to Jackson, J.D. Griggs (37 total tackles, 10.5 sacks, 16 tackles for loss) and Kaelin Burnett (4 tackles), an ex-Tennessee Titan, it should be a better defensive front to put pressure on Rattlers QB Cody Sokol and to shut down Arizona’s two-headed rushing attack in Monroe and Ketrich Harmon. The biggest test will be how Spokane’s defensive backfield will handle Arizona’s talented receiving corps. DB Tyree Robinson (69 total tackles, 2 INTs, 11 pass breakups) and John Hardy-Tuliau (66 total tackles, 3 INT, 7 pass breakups) are the leaders in the backfield, with newcomers Antoine Tharpe (13 total tackles, 3 pass breakups) and Qua Cox (7 total tackles, 2 pass breakups) breaking in. Tharpe performed well against the Crush last week, but will have to step up his game against the likes of Anthony Amos and Jamal Miles. Although the Rattlers are viewed as the favorite, Spokane appears to be re-energized with Aaron Wilmer under center. If the Empire can contain the Rattlers’ talented offense, and fend off Arizona’s pass rush, it could present an interesting final two weeks leading up to the playoffs. Empire RB Andrew Pierce on sharing the field with RB Trevor Kennedy. "I think me and him together is going to be something special. It's hard for teams to key in on two people"
Empire HC Adam Shackleford on the importance of beating Arizona. "They're a team that each week on film they get a little better at this and better at that. 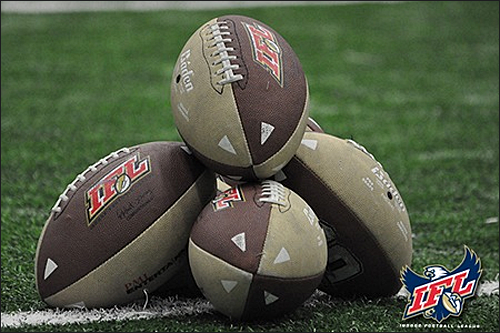 Coach Guy has grasped the concnepts of what you need to do to win in the IFL." Shackleford on QB Aaron Wilmer's first IFL start. "I'd give him about a B-minus, but I'm pretty hard on my quarterbacks. I'm proud of the way he came out and found ways to score and he didn't throw the ball to the other team." Empire QB Aaron Wilmer on the team's 48-43 win over Colorado. "We left seven, 14, maybe 17 points on the board, but we got the W."
Shackleford on the Empire's 3-game losing streak before Friday's win. At 9-4, the Arizona Rattlers are having success in their first season as members of the Indoor Football League. Should the Rattlers finish the season with three straight wins, they will finish with a 12-4 record, the very same record that Spokane had in its first IFL season last year. With the Rattlers' move to the IFL, they became the seventh arena football team (including teams from the AFL's developmental league, the af2) to join the league after playing in the "top tiers" of indoor/arena football. Here's a look at how the seven teams have done in their first season as members of the IFL. Special treat tonight. 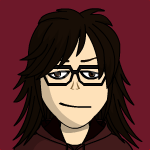 and a flashback to the early days of SCtoC, Kasey and I will be working the thread. I literally think it's been a couple years since we did this! As David reports from the game, we will have the score updates and summaries. 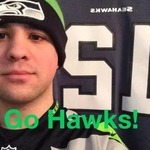 I will also be reporting scores from around the IFL! My only question is: Is David wearing a Star Wars costume? that's because i am adorable! This referee looks like the guy who refereed the college football championship game. If the Titans beat the Danger, that would be huge for Spokane.